Martin Seamus "Marty" McFly is a fictional character in the Back to the Future trilogy. He is portrayed by actor Michael J. Fox. Marty also appears in the animated series, where he was voiced by David Kaufman. In the videogame by Telltale Games, he is voiced by A.J Locascio; in addition, Fox voiced Marty's future counterparts at the end of the game. 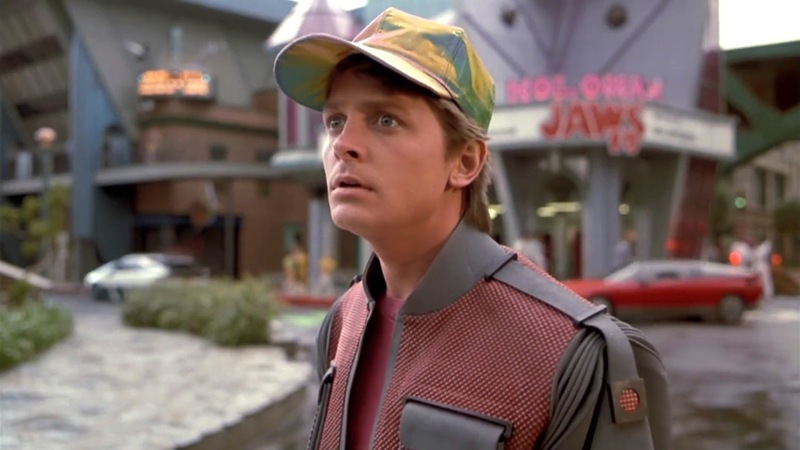 In 2008, Marty McFly was selected by Empire magazine as the 12th Greatest Movie Character of All Time. Eric Stoltz was originally cast as Marty McFly, but after five weeks of shooting scenes for the first film, director Robert Zemeckis and executive producer Steven Spielberg chose to re-cast the role to Fox. Marty has had many false names through the Back to the Future series, usually because of encountering his relatives at some point, most notably Lorraine mistakenly thinking his name is Calvin Klein, due to it being Marty's brand of underwear. In the first film, Marty uses the alias of "Darth Vader, an extraterrestrial from the Planet Vulcan" while wearing a radiation suit in an attempt to coerce George into asking Lorraine out to the dance. In Part III, Marty claims to be "Clint Eastwood" when asked for a name first by Maggie McFly and later by Buford Tannen. In Back to the Future: The Game, he uses one of the three aliases; Sonny Crockett, Harry Callahan, and Michael Corleone. In Italy and Spain, Calvin Klein was not well known in the mid-1980s, so the name "Levi Strauss" was used in both countries. In France, the name was similarly changed to "Pierre Cardin."